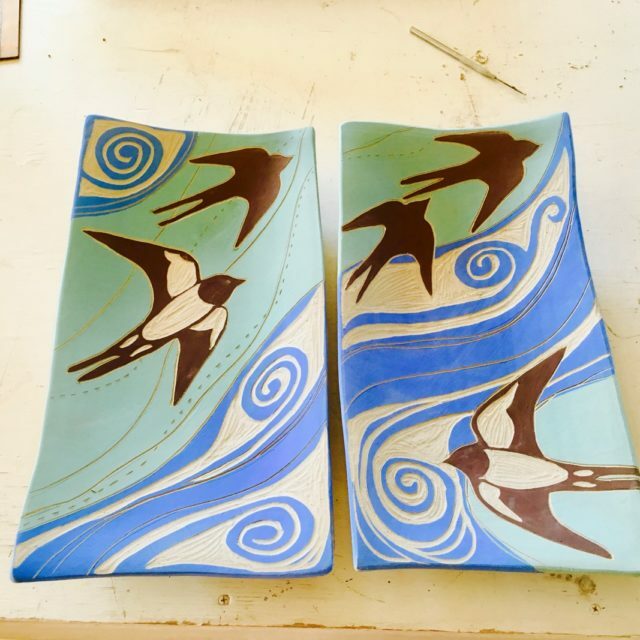 The smoke has cleared a bit in the Rogue Valley, but I’m still firing pieces about swallows for two upcoming exciting events: my show with printmaker Denise Kester at Hanson Howard Gallery during the month of October. And the Ashland Open Studio Tour, which will be the weekend of October 14-15, from 11-4 each day. I will be doing a demo of my carved work and welcome you to come visit me in my home ceramics studio! 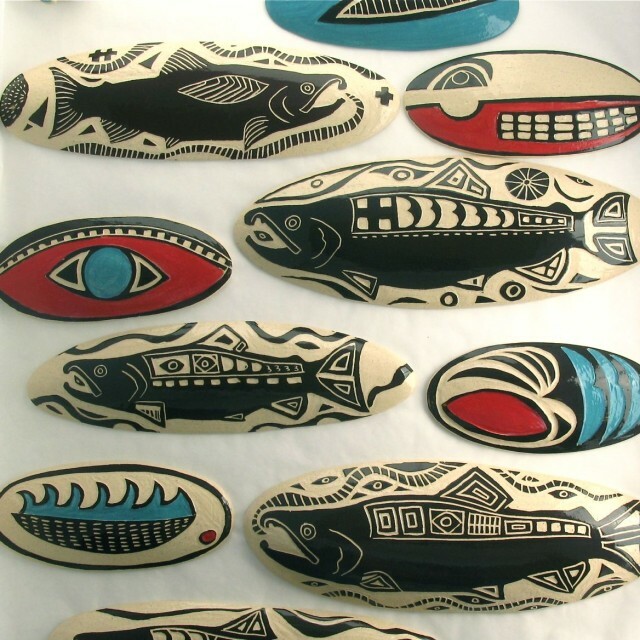 Ceramic artist Julia Janeway tells the story of the salmon through 100 “pillow tiles” at the Rogue Gallery in Medford April 22-May 27. Reception on May 20 5-8 p.m.